Large commercial trucks can do major damage on the road. Combination trucks such as tractor-trailers require a great deal of skill to maneuver and must be in extremely good condition to be safely driven. When semi-trucks fall into disrepair or drivers are drowsy or distracted while behind the wheel, serious accidents can be the result. Among the deadliest forms of tractor-trailer crashes are rollover accidents. After a crash, contact the dedicated and knowledgeable Mobile, Alabama truck accident lawyer Gary W. Fillingim for a free consultation. Rollover accidents are one of the most serious risks faced by truck drivers, as well as the passenger vehicle drivers surrounding them. Rollover accidents are the cause of over half of all tractor-trailer accidents resulting in truck driver fatalities. Cargo loading: How the cargo is loaded into the truck can be a major factor in rollover accidents. When cargo is stacked too high in the trailer of a truck, this raises the truck’s center of gravity, making it more likely to roll over. Speed: Taking a turn too quickly can cause a tractor-trailer to roll over. Rearward amplification, also known as the “crack the whip” effect, causes the trailer to continue moving in the previous direction, and can cause the truck to roll. Multiple trailers: Double- or triple-trailer trucks are much more vulnerable to the effects of rearward amplification. In fact, the effects of rearward amplification are 3.5 times greater on a triple-trailer truck. If truck drivers do not give their full attention and care to changing lanes or turning correctly while driving a double or triple, rollover accidents can be the result. An experienced Mobile truck accident lawyer will know how to investigate a crash and look for evidence of these factors. This evidence can be used to prove that the truck driver or cargo loader were responsible for the accident and should be held financially responsible for the consequences. If you’ve been injured in a rollover truck accident, you may be facing substantial medical expenses, property damage, and pain and suffering from your injuries. Filing claims against trucking companies based on tractor-trailer accidents is often complex, and without an experienced trucking accident lawyer on your side, it can be a challenge to get the compensation you deserve. 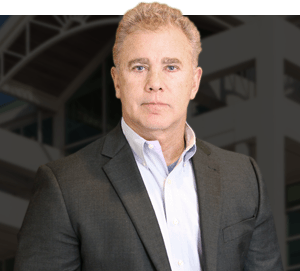 Mobile, Alabama truck accident lawyer Gary W. Fillingim has the experience and skill you need to get you the money you deserve. Contact the Fillingim Law Office as soon as possible for a free consultation if you’ve been injured in a truck accident and let the lawyers at the Fillingim Law Office advise you of all your options and recover the money you deserve. For a free consultation after a trucking accident, tractor-trailer crash or semi-truck rollover accident, contact the experienced and effective Mobile, Alabama truck accident lawyer Gary W. Fillingim for 251-445-7257 or on the web at Fillingimlaw.com.